ATLANTA — BenchMark Consulting International announced it has launched Business Intelligence Powered by Benchmark, which company executives said can provide financial institutions with the ability to complete timely comparisons to highlight best practices for consumer and auto lending. More specifically, BenchMark said program subscribers can now compare core process performance to peers at the local, regional, national and international levels. Basically, the new offering provides real-time data on performance metrics, executives explained. The metrics are provided in a dashboard interface, which works through a secure, Web-based delivery system, officials said. According to the company, users have the option of viewing historical and seasonal trends and cyclical patterns. They can also break it down into segments for multi-business lines and multi-site performance, along with monitoring tracking for pre- and post-implementation performance of products, processes and systems. Users can also compare collateral type, specific portfolios, origination sources, business units and more. "The timeliness and integrity of this intelligence alone makes it invaluable," explained Walter Cunningham, BenchMark's president. "Yet, the addition of peer comparison makes it an imperative tool for executives looking to improve performance and achieve competitive advantage. 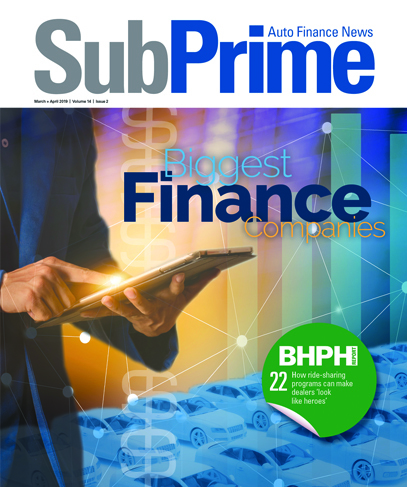 "The interest in the Business Intelligence offering is significant, and within the last few months, three of the top 10 U.S. banks (based on asset size) have signed with BenchMark," he highlighted. Understanding the importance of keeping the data secure, Cunningham said, "The program is protected by the most stringent, comprehensive security provisions available." Moreover, he added, "The integrity of this intelligence is the key to its success, so in addition to comprehensive security, BenchMark has implemented intense validation and quality controls to ensure secure delivery of accurate and credible data." Sharing the benefits of the program, Brian King, senior vice president of consumer and retail practice, said, "Institutions often invest in enterprise dashboards that require internal IT development and support. "The Business Intelligence Dashboard produces a higher return on investment because the program utilizes fewer internal resources, delivers more timely metrics and incorporates credible peer data for actionable comparison," he continued. Institutions interested in a detailed demonstration or more information can contact King at bking@benchmarkinternational.com, or Cunningham at wcunningham@benchmarkinternational.com. BenchMark said it has been providing its services to the financial services industry since 1988. In addition to the new Business Intelligence offering, the company can also analyze a company's performance to assist in operational performance improvement, service level improvement, technology optimization, operations consolidation, project management and research services, officials highlighted. For other types of analysis, including case studies, BenchMark said it offers institutions a three-phase approach, which starts with an assessment of the current situation and identifying the value potential related to a change. During the second phase, BenchMark said it works with its client to design a new target business environment. Finally, BenchMark officials said they help the company implement the changes decided upon to reach a desired goal. In this area, BenchMark said it can address a client's goal of delivering products and services in a quicker, more costly manner. "Operational support areas are critical to the financial success of every financial services company," executives pointed out. "Whether it is check processing, loan operations, call center or collections, operations provide every organization the ability to deliver products and services to their customers. "In most cases, these products and services are intended to differentiate their organization from their competition," officials noted. "Operational support areas are often characterized by: large numbers of regionalized or centralized staff, multi-shift operations, large fixed and variable expenses and work environments driven by inconsistent volumes on daily, weekly, monthly and/or quarterly basis. "These characteristics often present significant challenges when presented with management's objective to do their jobs ‘better, faster, cheaper,'" executives said. How can BenchMark help? Executives said their methodology will allow them to understand all aspects of business, in addition to who performs specific operational functions. "We know there is no one best way of doing any process when you consider organizations' strategies, cultures, policies, technology, geography and other factors," officials said. "Using BenchMark's proprietary database of operational performance metrics, we are able to objectively quantify and support process improvements that will directly impact an organization's overall efficiency and effectiveness," executives highlighted. "Each design is tailored to support our client's overall strategy and corporate culture and work within potential policy, technology and geographic limitations, yet still realize desired operational productivity (efficiency and effectiveness) improvements," officials went on to explain. Another key area of business that can help a company stand out from the crowd is customer service, BenchMark pointed out. "With ever-changing needs of the market, you cannot afford to overlook this critical management area," executives stressed. "Providing excellent customer service is not free; however, knowing your customer, understanding their needs and expectations and providing the products and services in an efficient and effective operational unit, will ensure you provide cost-effective customer service. "It is a fact that operating systems and procedures are only as good as you continue to make them," officials continued. "Our track record in this area alone has provided more than enough proof to our clients that we can help." The company said it also assists companies with making the most of their technology. "BenchMark views technology as an enabler, not as the primary driver of an efficient operation," executives explained. "Upon completion of the assessment, we will have identified all significant non-value add steps in your process. "We will have also identified many processes that are performed manually or potentially, not being performed at all. We will then know how the current processes and technology utilization are impacting service levels and operational efficiency," executives reported. Basically, by assessing existing technologies and the role they play in workflows and business processes, BenchMark said it can determine if a company is using its technology to the fullest. "Quite often, technology is purchased to automate current processes whether current processes add value or not," officials said. "Often, new problems are created because not enough is known about an organization's processes and procedures. "BenchMark identifies the ‘value-add' processes, and then evaluates whether a client's current technology can automate and/or improve upon the current manual process," executives explained. "In other words, we identify how you can get the greatest benefit from current and/or new technology." In addition to its other services, BenchMark said it can help companies create and implement consolidation plans. "Operations consolidations are complex, employee and customer-sensitive and are high profile events," executives pointed out. "BenchMark is uniquely qualified to plan and successfully execute a consolidation plan because before we make a plan, we gather as much field information as we can; we compare against best practices in the industry - all in order to create a consolidation plan that is best for you, and uniquely yours," officials explained. After helping companies implement consolidation practices, BenchMark said it then conducts a post-consolidation review to ensure all goals are being met. The company said its services can also be beneficial for more complex projects. "Running successful assessment, design and implementation projects requires adherence to strictly enforced project management methodology," officials said. "For that reason, when BenchMark manages a project, even when client staff are represented on the project team, all team members are expected to follow the methodology and are held accountable for responsible tasks. This consistency in process leads to successful results. Moreover, company executives said, "BenchMark has had success training clients on effective project management skills and methodology. However, we have more frequently been engaged to use our staff and project management knowledge to accelerate the successful implementation of critically important projects on time, within budget and meeting all project success measurements." Another area BenchMark specializes in is gathering and reporting data. "On-site assessments, interviews and observations generally provide the clients and/or BenchMark Consulting International enough information to make well-informed and substantiated process change or design enhancements," officials explained. "However, some information needed to make the best tactical or strategic decision is not readily available on the client site. "Therefore, BenchMark has developed extensive research capabilities around areas essential to the success of all businesses - markets, customers, products and employees," executives highlighted. Such research can help take the "guesswork" out of critical decisions, officials pointed out. The company's capabilities include survey design, administration, analysis and reporting. Furthermore, executives said the surveys can be broad-based or targeted; paper or electronic; Web-based or via telephone. Finally, BenchMark said it can also perform syndicated and client-customized proprietary studies. More information on the Business Intelligence program or BenchMark's other services, visit www.benchmarkinternational.com.